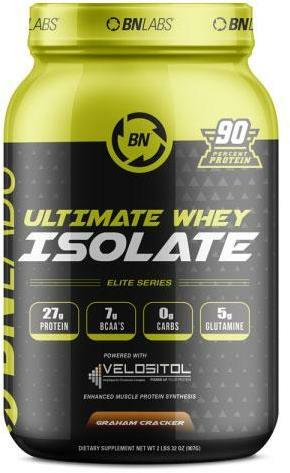 Apr 03, 2018 BN Labs Ultimate Whey Isolate: 90% Protein by Weight, with Velositol! BN Labs Ultimate Whey Isolate is a high quality, very clean, and fast digesting protein for athletes expecting the best. Protein is important for muscle growth and BN Labs believes the quality of protein is highly important to the results you want from supplementing with protein powder. BN Labs uses 3rd party testing to prove to you they are producing high quality protein that's free of amino spiking. This is one of the purest protein powders you will find on the market that's ideal for post workout.